According to research by SuperData, Fortnite managed to earn an incredible US$223 million in March. The smash hit from Epic Games was already a success even before the battle royale mode was introduced. Far Cry 5 was also a winner in March, with the Ubisoft title apparently racking up digital sales in the region of 2.5 million units. Research analyst SuperData has released a report detailing the worldwide digital games market for March 2018. Yet again, it seems Fortnite is streaking even further ahead of PlayerUnknown’s Battlegrounds (PUBG) in the battle royale race. The former title amassed estimated revenue of US$223 million in March across the PC, console, and mobile platforms. 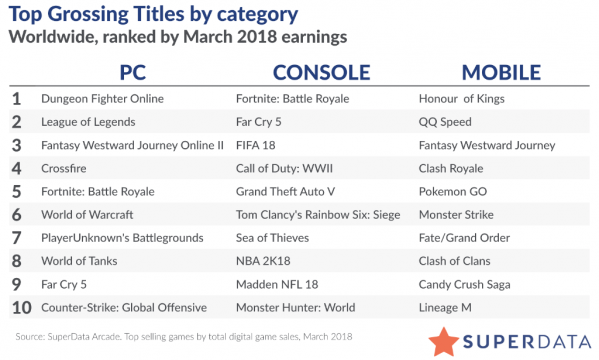 Unsurprisingly, it topped the console charts, whereas PUBG could only manage seventh place in the PC rankings (headed by Dungeon Fighter Online). 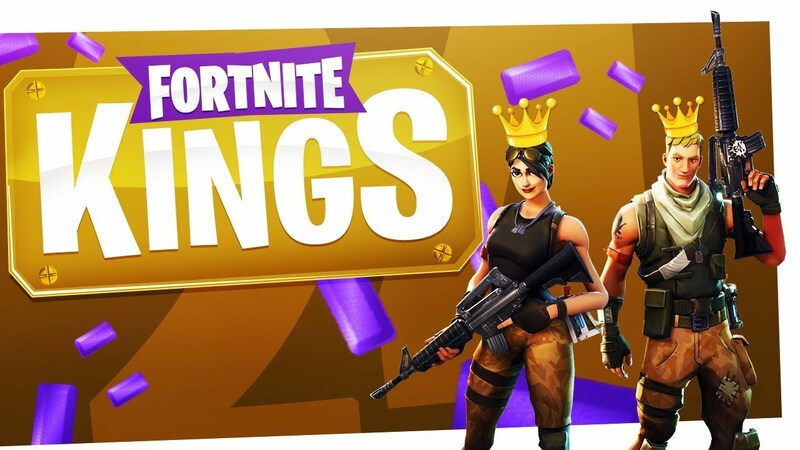 Not only has Fortnite generated an amazing sum in just one month, according to the researchers at SuperData it is now the biggest free-to-play console game ever, measured by revenue and monthly active players. March was a good month for Far Cry 5 as well, with the first-person shooter selling around 2.5 million copies on PC and console. The overall state of the games industry seems reasonably healthy, too. An estimated US$8.9 billion was spent on games across all platforms in March, up from US$8.7 billion at the same point in 2017. With some major players rumored to be preparing entries into the battle royale world, it will be interesting to see how the market reacts when fans of this particular genre have more options to choose from.